Two years ago Sheryl Sandberg’s LeanIn.org teamed up with Getty Images in an attempt to push aside the outdated stereotypes of male and female roles in the workplace and at home with a new stock image database. The result is more than 1,000 photos in the Lean In Collection, curated by Getty Images and primarily focused on the United States. The idea is that by changing the imagery around women, business and family, we can reframe how we think about the roles of women, girls and even men. Empowering girls and women is the rally cry here and why not start with a photo library. Online image banks make millions of photos available for set fees, or even free and copyright-cleared use. Often, though, general image libraries can be overwhelming and difficult to navigate, photo banks focused on specific topics less so. We want to point you towards two such libraries that provide high quality, copyright-free photographs to enhance your visual storytelling that go one step beyond what you could find in the Lean In Collection.. The Public Health Image Library (PHIL) contains thousands of health-related images and multimedia content. Images of Empowerment features empowering images of women from around the globe. Here we present an overview of what these image libraries include and some tips for how to best use them for your storytelling and visual campaigns. 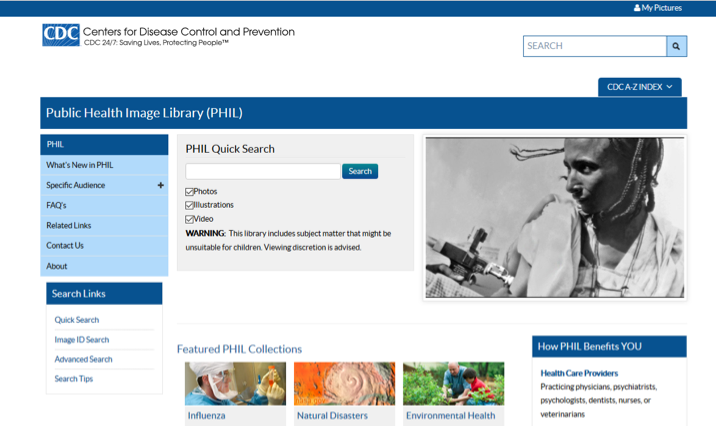 The Public Health Image Library (PHIL) provides free and easy access to images and multimedia files owned by the Center for Disease Control and Prevention (CDC). All of the images relate to public health, and are promoted for educational and messaging purposes for educators, students, health-care professionals and the media. The PHIL’s content is easily accessible and free of charge. Images are copyright cleared with few exceptions, making the content readily available to those in need of photos for depicting current events, advertising campaigns, health promotions and more. The PHIL’s content can be easily sorted by category. You can conduct a “Quick Search” to enter keywords when searching for a specific image type. To narrow your search further, click on “Advanced Search,” located on the left of the screen, to control the “Date Range” and “Image Type.” Under “Image Type” you can select photographs, illustrations, and/or video, and also limit searches to “Public Domain” (free use) versus “Copyright Restricted” (restricted, permission from owner required before use) to ensure that the images you find are appropriate for your project. Once you’ve found the perfect image, a set of information will be available about that specific piece, including a title, description, tagged categories, photo credit, creation date and more. Note that under “Copyright Restrictions,” most images request that “the content provider be credited and notified in any public or private usage of this image,” as a matter of courtesy. Select the “Advanced Search” tab on the left of the home screen to narrow down your search. This will allow you to view only “Public Domain” images that will be ready for use immediately. As you search images that you wish to use, be sure to take advantage of the “Add to My Pictures” checkbox, a feature that functions like a “shopping cart,” allowing you to store images while you continue searching for others. Images of Empowerment was created as a collaborative effort by the William and Flora Hewlett Foundation, Getty Images Reportage, and Women in Informal Employment: Globalizing and Organizing (WIEGO). The collection features women in nine countries of the Global South – Uganda, Kenya, Ghana, Senegal, Colombia, India, Peru, South Africa and Thailand – in their daily, working lives. They capture women tending to domestic chores and other work that is often feminized, devalued and hidden from public view. This image library contains photographs that are available free of charge to noncommercial users. 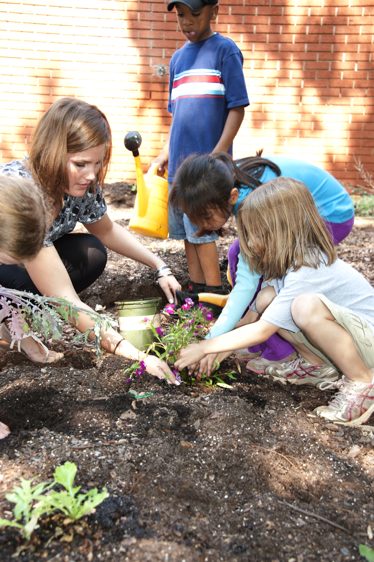 The images are also available to Getty Images’ clients (businesses, organizations, creative agencies, etc.) for licensing purposes. Read more about the licensing requirements here. Selecting the grid in the lower right-hand corner of the screen to increase efficiency when browsing the images in a collection. This will allow you to view up to 18 images side-by-side, rather than one at a time. Select the “i” in the upper right hand corner of an image to view the copyright details and read the story of the women photographed. Explore these image libraries, and create your own empowering stories in 2017!